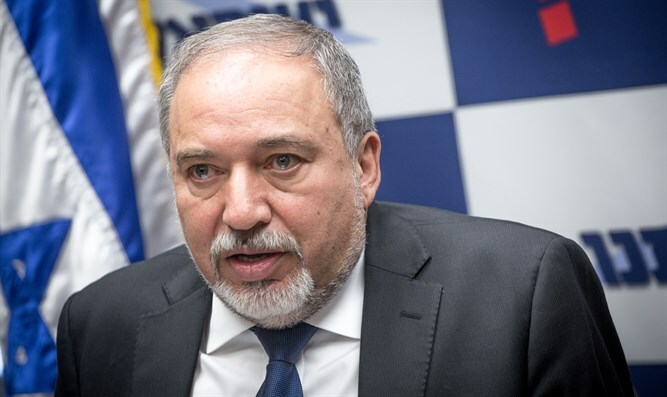 Defense Minister eulogizes Rabbi Benny Elon, says Israel ready to accept any peace plan from the Trump Administration. Defense Minister Avigdor Liberman opened the weekly Yisrael Beiteinu faction meeting Monday with a eulogy for Rabbi Benny Elon, who passed away last week after a battle with cancer. Liberman recalled the term in which he and Rabbi Elon served together in a joint faction, and said that the rabbi was "a Torah scholar, a visionary and a man of action. His whole being was loyalty to the Land of Israel." Liberman also spoke about the proposed bill which the party promoted to commemorate the anniversary of the victory over Nazi Germany, while honoring those who participated in that victory. Lieberman took advantage of the opportunity to attack the "Mufti's successors" among Israel's Arab enemies. "As we knew how to defeat the Nazis, we will know how to defeat all the forces that are acting against us both from the outside and from within." In response to a question about Trump's visit, Lieberman noted that the Israeli government is open to any offer from the Trump government. "We do not choose our partner." He also made it clear that the Yisrael Beiteinu party is initiating a bill to allow for public transportation on the Sabbath if local municipalities wish to allow it, and that he believes that the government should not interfere with the local municipalities in the matter of Sabbath observance.